Source water can be susceptible to weather events, seasonal changes, and upstream discharges that can have a significant effect on the quality of both surface water and ground water. Events including algae blooms, heavy rainfall, industrial discharge, and other occurrences can be detected using online sensors and instrumentation. Monitoring the quality of raw water allows you to better predict treatment processes required to meet treatment goals. The recommended water quality parameters for monitoring differ based on the raw water source (groundwater, surface water, or a blend of groundwater and surface water). Groundwater is a raw water source for many drinking water facilities serving smaller populations. Per the Ground Water Rule (published by the EPA in 2006), these small facilities must now disinfect ground water to increase microbial protection. Typically, ground water is low in natural organic matter, and therefore, there aren’t concerns regarding disinfection by-product formation. Groundwater, however, can contain compounds that create treatment challenges. Ammonia: Ammonia levels can vary significantly throughout the year and needs to be monitored. Ammonia will react with chlorine to form chloramines that can cause taste and odor issues. Free Chlorine: Free chlorine is added to ground water to convert ammonia into chloramines, and with further free chlorine addition chloramines break down. This leaves free chlorine as the residual disinfectant. Online measurement of free chlorine can be used to determine when desired levels of free chlorine have been reached. Free chlorine can also be used to remove compounds, such as iron and manganese, by forming precipitates that are removed by filtration downstream. 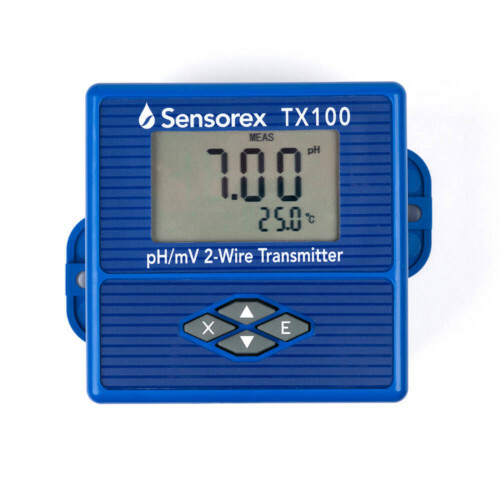 pH: The pH of incoming water from ground water sources should be monitored online to determine if pH adjustment is required to optimize chlorine disinfection. 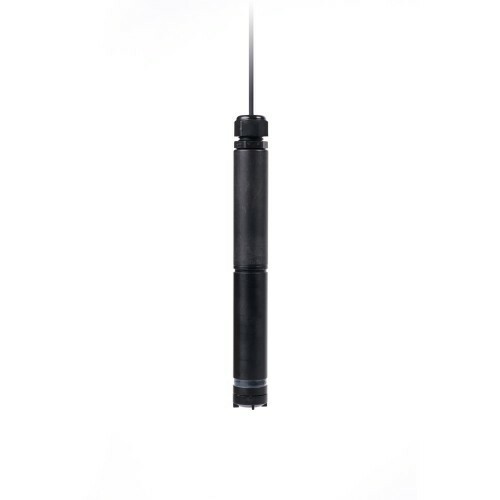 pH monitoring can also serve as a surrogate measurement for detecting events that impact the groundwater source. Surface water from lakes, rivers, and reservoirs is the main raw water source for potable water production. These water sources are exposed to natural and man-made events, which can lead to varying natural organic matter (NOM) content. NOM can lead to disinfection by-product production if not removed during upstream plant processes. TOC: Total organic carbon (TOC) refers to the amount of carbon in organic compounds of the water sample. TOC measurements can provide important data for choosing the optimal treatment strategy for removing disinfection by-product (DBP) precursors. Minimizing TOC in source water can lower treatment costs and DBP formation. UV254: UV254 is a measurement of organic constituents that absorb UV light at the 254nm wavelength. The measurement is a strong indicator of organic content that will react with chlorine to form disinfection by-products (DBPs). The parameter can be measured online with simple installation and reporting. Rain storm events, algae blooms, or man-made occurrences can impact organic content in surface water, and can impact downstream disinfection processes. The UV254 value can also be used to calculate SUVA (specific ultraviolet absorbance) in order to determine compliance for reducing disinfection by-product precursor material by the Disinfectants and Disinfection Byproduct Rule. Turbidity: Higher turbidity values will have a larger impact on the efficiency of the disinfection process. The particles present can prevent proper disinfection, especially in ultraviolet (UV) disinfection. Turbidity changes in source water can indicate that an event has occurred that may require investigation. Source water monitoring is critical for optimizing disinfection treatment processes and minimizing plant upsets caused by changes in source water quality. While sampling can provide discrete insights on source water quality, the use of online sensors is recommended for optimal plant process control. Changes in raw water quality must be identified to ensure disinfection targets are met.